Check out @nekachoo in her Storm cosplay! Hey you guys! Today I wanted to share with you all some cosplays of one of my favorite X-Men characters, Storm. I am still wishing that they would create a Storm focused movie at some point of time in the next couple of years. Hopefully I will get my wish. So here are some of the Storm cosplays that I am loving right now! Don't forget to follow your favorites on their Instagram pages. You can be the king, but watch the Queen conquer 👊🌩 (Get it? Because Loki gets her to usurp Thor's throne of Asgard in an obscure 20 year old 'What If' alternate universe comic?!) GUYS I'M ON A MARVEL TRADING CARD😵😭😍!!!! @john.philippe is a master artist extraordinaire and transformed me awkwardly struggling to balance in front of a black sheet into this, and I'm so blown away. His #jpgsuperhero series is something GORGEOUS I am soooo honoured to be a part of. I've included the rest of the series so you can all #marvel at it's glory and some incredibly talented people. I hope you guys enjoyed these Storm cosplays. 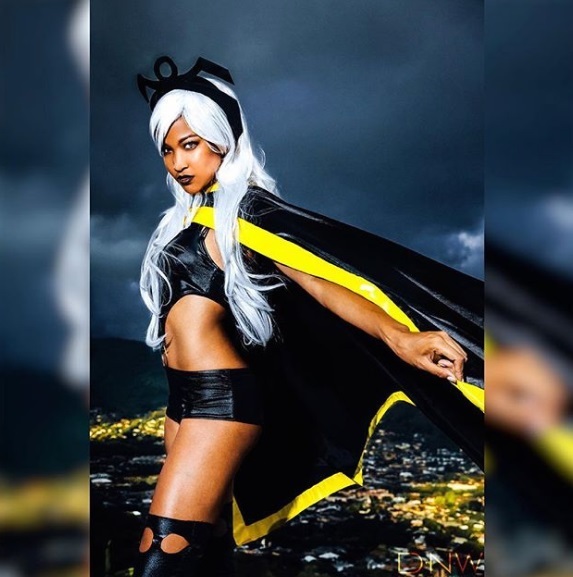 If you know of any Storm cosplayers, leave a link down below to their Instagram picture of them as Storm. They maybe featured in a future post! 23 X-Men Cosplays You'll Love! 28 Harley Quinn Cosplays You'll Love!